One day, just a few weeks before I finished university, I enlisted my brother Sean to come take some photos of me on campus. I didn't even know the photo above existed until I discovered it while scanning negatives a couple of months ago. I assume the photo lab didn't make a print because this shot was taken at the end of the roll and as a result I'm missing the top bit of my head, which seems to have disappeared into a fluffy layer of clouds. I would never have discovered this image's existence had the scanner not picked it up. It's not a great photo, and I understand why the lab didn't make a print. 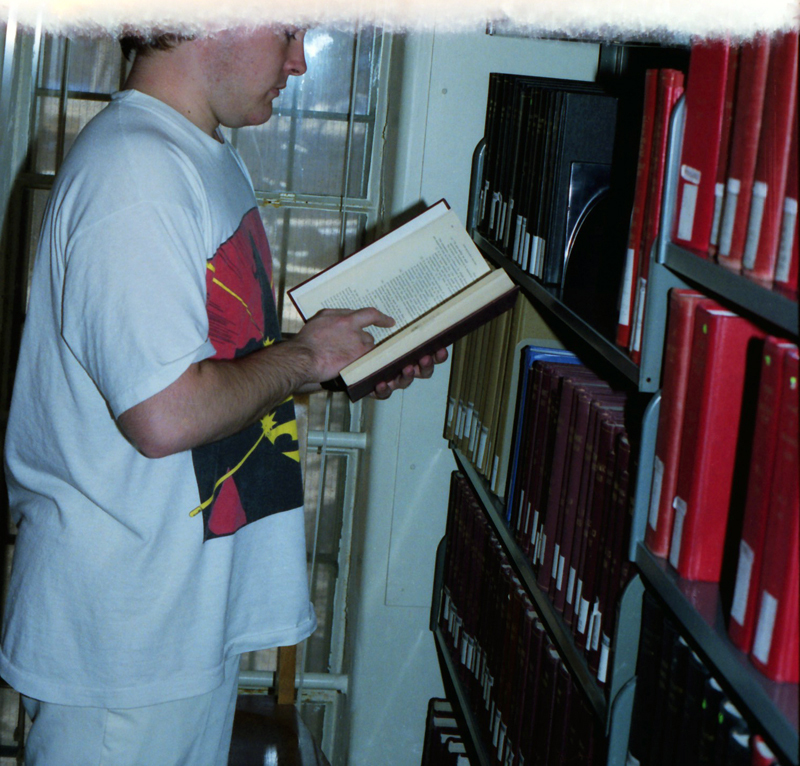 On the other hand, it's the only image I have of myself at the Rutherford Library. Perhaps the text I'm examining transported me into new realms of philosophical insight, hence the disappearance of my brains into the heavens.